Hotel Brilla Sol is located 4 km west from the International Airport in “El Roble de Alajuela” and makes for an excellent and strategic place from which to start and finish your vacation. 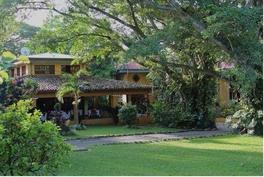 The hotel is also conveniently located 25 minutes from Downtown San José and 10 minutes away from Downtown Alajuela. If you are looking for a relaxing place, this is it! They also like to pride themselves on the fact that their guests are their sole reason for being and you will feel that you will be leaving friends behind when you leave. Their friendly and knowledgeable staff is anxious to help guests with recommendations for the best places of interests, depending on your preferences. 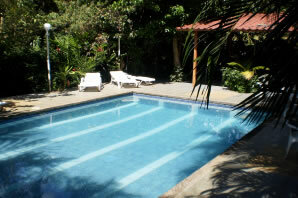 They are a Tropical Paradise like an oasis just near the International Airport. The Brilla Sol staff works hard to provide their customers with a comfortable and memorable stay.